Don't expect the classic sitcom Leave It to Beaver or squeaky-clean '90s shows like Family Matters and Perfect Strangers. But come next season, there's likely to be an abundance of new family-centric half hours on network TV. Added to returning hits like Modern Family, Black-ish and Mom, family comedies could take up more space on prime-time schedules than they have in decades. Hollywood's producers pumped out nearly 30 family-based comedy pilots during the recent development season, leaping ahead of other popular subgenres like workplace and relationship shows. This trend toward home and hearth is no accident. Several television executives made their 2016-17 schedule priorities clear in recent months, with CBS Entertainment president Glenn Geller telling The Hollywood Reporter that his must-have for next season was a "big family multicam," meaning a traditional three-camera comedy filmed in front of an audience. NBC Entertainment chairman Robert Greenblatt cited "comedy, comedy, comedy" as his focus for the year, while ABC—which has had the most recent success in the genre—has once again looked at families of all stripes for its potential comedy pickups. Industry watchers think it could be the typical copycat syndrome in play, with programmers still searching for the next Modern Family, now in its seventh season. That Emmy-winning hit sitcom is still ABC's top series in the 18-49 demo, even though its ratings are down 15 percent this season. Meanwhile, newer entries like Fresh Off the Boat, The Goldbergs and Black-ish, all on ABC, are drawing strong viewer numbers. CBS' newest family comedy, Life in Pieces, which just landed a second season, was the No. 1 freshman scripted series in the 18-49 demo. 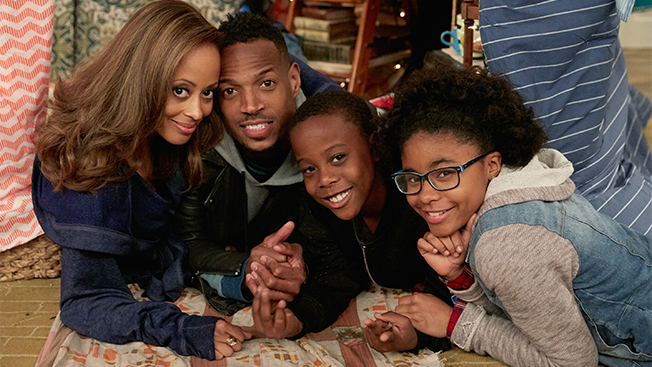 NBC's The Carmichael Show, now in its second season, is low-rated (4.6 million a week) but a critical darling, and is helping NBC rebuild its comedy brand. There are plenty of bottom-line reasons for networks to sprinkle a healthy dose of family sitcoms in with their medical dramas, procedurals, cop shows, reality competitions and soaps. "It's one of the most relatable concepts on TV. It makes us think of our own relationships to parents and siblings and kids," said Tim Brooks, television historian. "These shows are very advertiser-friendly, they re-run well, and they tend to skew female 25-54, which is a sweet spot." They draw a multigenerational audience that often watches live rather than using the DVR, making them more valuable to sponsors, and they're reassuring in turbulent times, even if they contend with weighty issues. Family comedies, like yesteryear hits Full House and Boy Meets World, can be cash cows in syndication. And the properties can also have additional value down the line, as both of those programs have spawned successful recent reboots, on Netflix and Disney Channel, respectively. 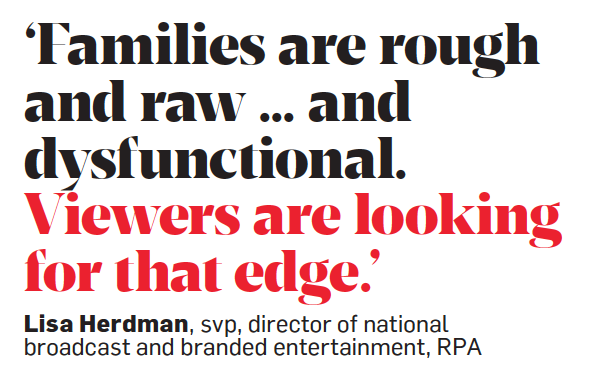 And though re-dos are still the rage, throwbacks are not, with Lisa Herdman, svp, director of national broadcast and branded entertainment at RPA, noting that today's family comedies need to be diverse, topical and contemporary to survive. "Families are rough and raw and obnoxious and dysfunctional," Herdman said. "Viewers are looking for that edge." Broadcasters ordered several family comedies, some starring familiar faces, in the days leading up to this week's upfront events. CBS picked up Kevin Can Wait, a family comedy from Kevin James, whose The King of Queens ran for nine seasons on the network, as well as Matt LeBlanc's Man With a Plan (formerly I'm Not Your Friend). Fox has added single-camera comedy The Mick, starring It's Always Sunny in Philadelphia's Kaitlin Olson as a rowdy gal who moves to tony Greenwich, Conn., to raise her sister's spoiled rich kids. NBC will air Marlon, which is loosely based on the real life of star Marlon Wayans. ABC ordered several family comedies, including Speechless, starring Minnie Driver as the mother of a family that includes a special-needs child, and The Second Fattest Housewife in Westport, about a strong-willed mom raising a flawed family in a "perfect" town, starring Katy Mixon (Mike & Molly) and Diedrich Bader (Drew Carey Show). "Family comedies weren't dead, they were just resting," Brooks said, "and now they're coming back."